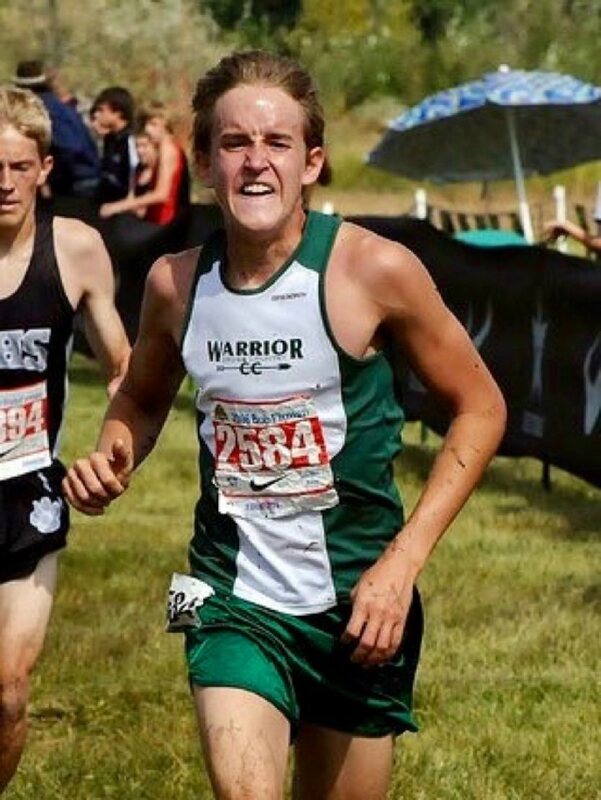 Hayden Hawks running cross country in 2008 as a high-school senior. All photos courtesy of Hayden Hawks unless otherwise noted. In 2009, Hayden won two high-school state championships in track and field, at 1,600 meters and 3,200 meters. “I was the fastest runner in Utah. I had probably 10 universities wanting to sign me. I was one of the fastest runners in the U.S.” He ultimately decided to go to a close-to-home college, Southern Utah University in Cedar City, Utah, but one with a successful NCAA Division I running program. During his junior year of college, in 2015, Hayden recorded his 5k PR of 13:51 and 10k PR of 28:53. In his senior year of college, he earned Division I All-American status in cross country, an honor given to the top-40 finishers at nationals. At the end of his collegiate running career, he faced a dilemma many runners of his caliber experience, to go ‘pro’ or not. The reality was, Hayden wasn’t quite national-champion quality. 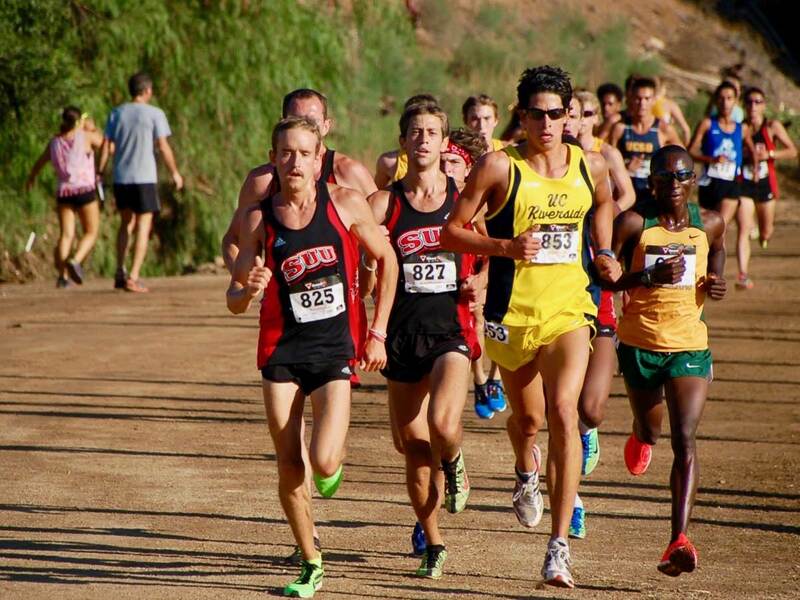 Hayden (at left) running cross country for Southern Utah University as a college senior in 2015. 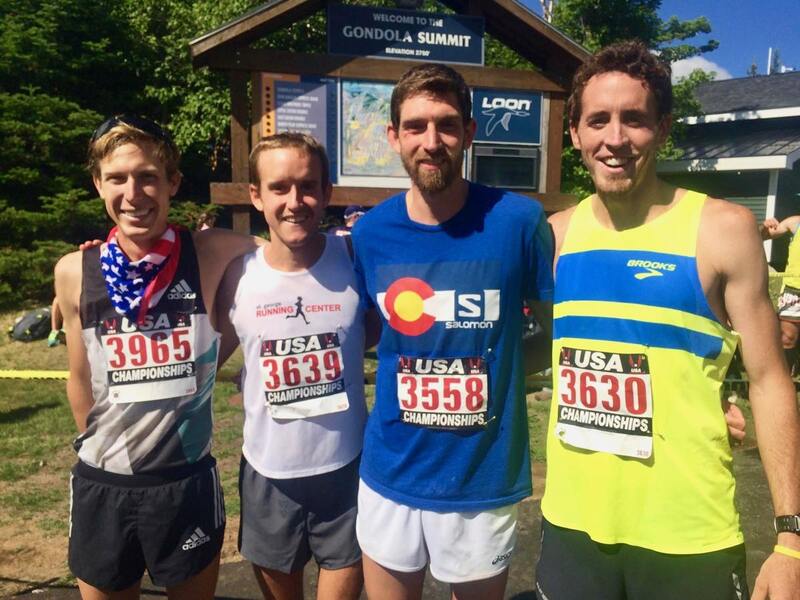 At the 2016 US Mountain Running Championships in New Hampshire are (l-to-r) Andy Wacker, Hayden, Matt Daniels, and Brett Hales. He called Bryce, who talked to race director Karl Meltzer. He also needed his wife Ashley to take his shift at the running store where they both worked. Hayden promised her he’d win, and come back with the prize money, if she covered his back. A memorable video of him racing hard with Zach Miller there made by Jamil Coury went viral. The 2017 Chuckanut 50k, a race where top U.S. and Canadian runners showcase early season form, again saw Hayden duking it out head-to-head for the win, this time with notorious speedster Max King. While Hayden finished second again, the pair pushed each other so hard they both ran under King’s previous and stout course record. And good things did happen. Hayden bounced back with a big international win at the competitive 2017 CCC, his biggest career win to date and with a course record to boot. 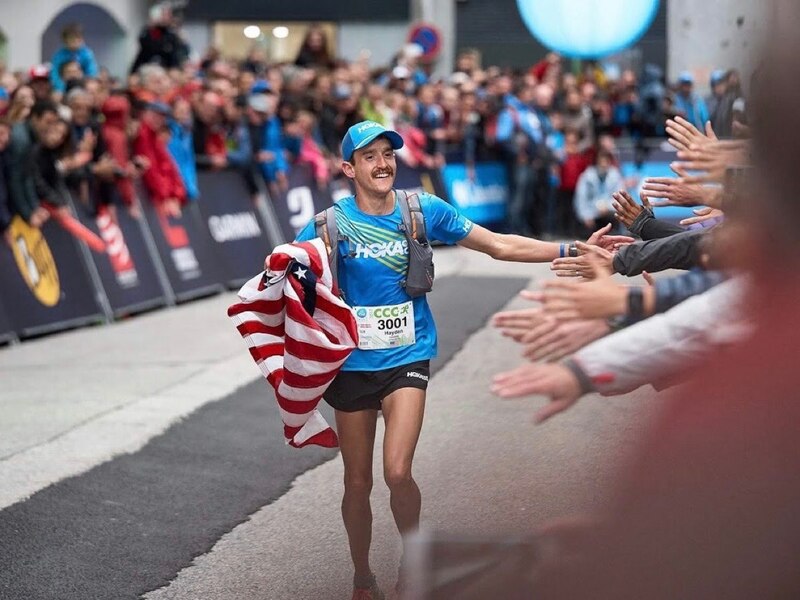 About that race, he says, “That helped me regain the confidence I had started out with–it was an amazing experience.” He also won the 2018 Lavaredo Ultra Trail, beating Tim Tollefson and Pau Capell and cementing himself into the upper echelon of international ultrarunners. His Steve Prefontaine-esque, eyeballs-out style of racing is compelling but also means boom or bust. Hayden also failed to finish 2018’s TDS and 2019’s Transgrancanaria. At his young age, with his undoubted athletic talent and self-belief, it’s clear more wins are ahead. Just last weekend, in fact, he returned to the Chuckanut 50k, this time taking the win. 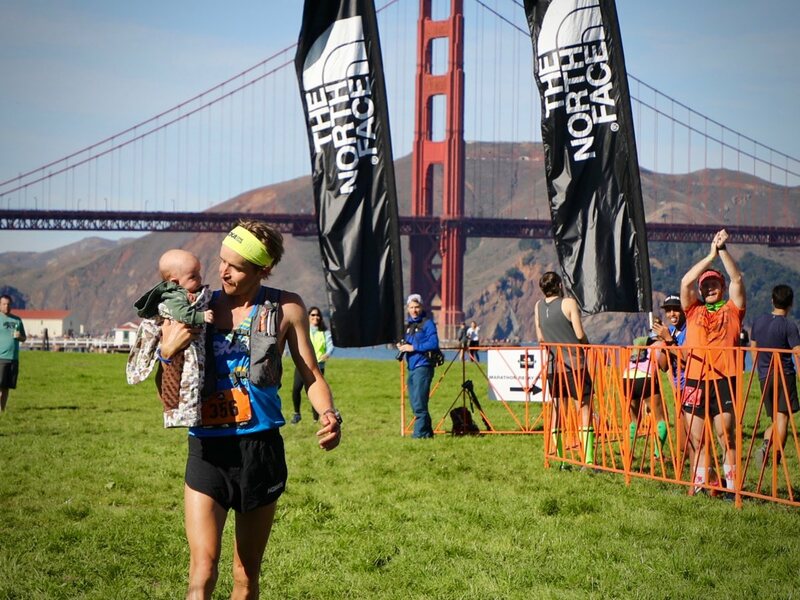 Aside from ultrarunning, family is central for Hayden. He’s married to his college sweetheart, Ashley, and they have an 18-month-old son, Crosby. Ashley is also a runner. In fact, their first date was a run. Their second was a 5k race, which they both won and afterward were paraded through town. “It was a pretty memorable date!” Ashley’s worked hard at road marathons, but has recently also turned toward trails and placed sixth at her first ultra, last week’s Chuckanut 50k. 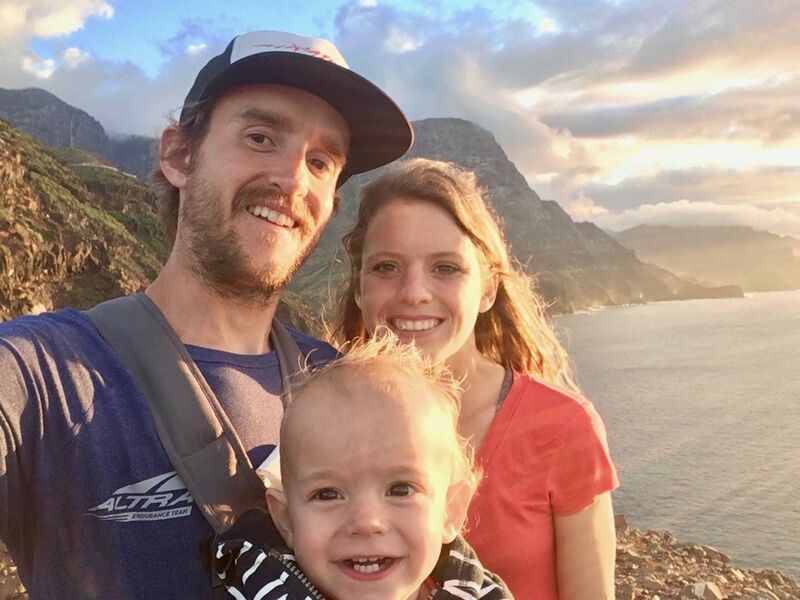 The same goes with Hayden’s younger brother Levi, who’s run a few ultras and is gunning for a Western States Golden Ticket at this month’s Georgia Death Race. Since Levi has crewed Hayden many times, big brother is keen to repay the favor. Hayden also feels inspired by his mom, a recreational marathon runner, who will also soon–you guessed it–start her first ultra. 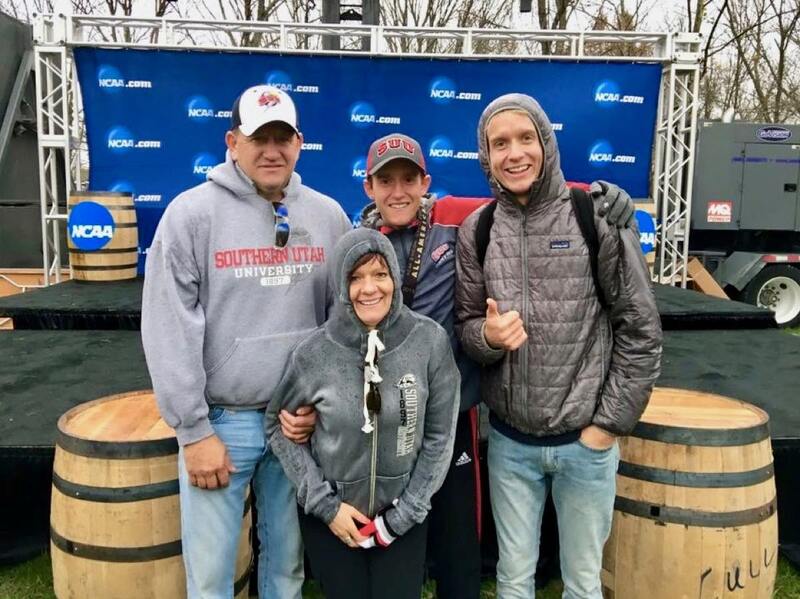 Hayden at the 2015 NCAA Division I Cross Country Championships in Kentucky with his dad, mom, and brother Levi. 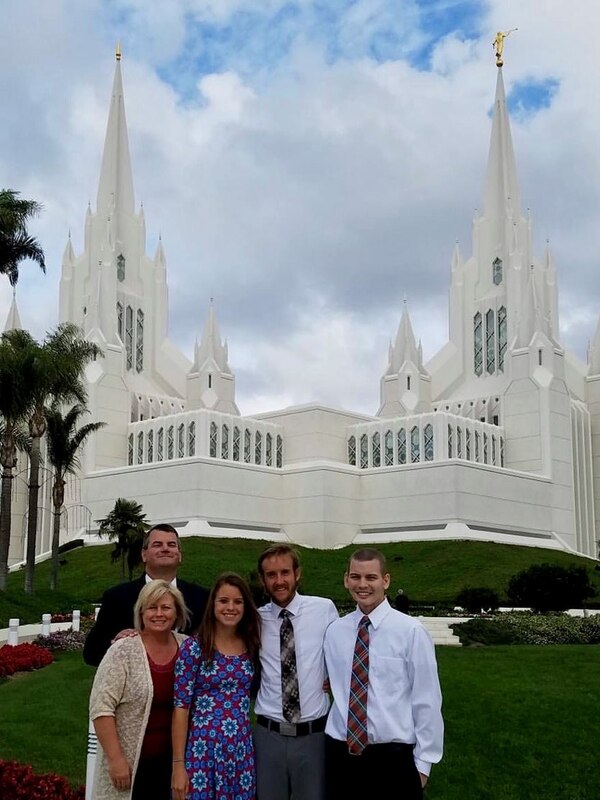 Hayden with his wife Ashley, and Ashley’s father, mother, and brother Erik in front of a Mormon Temple in California. Ashley’s brother passed away from cancer a short time later in early 2017. Have you raced with or watched Hayden Hawks race? Leave a comment to share your Hayden story. Hayden, Ashley, and Crosby in the Canary Islands in January of 2019. 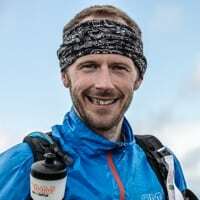 Damian Hall is a British ultrarunner, coach, and outdoor journalist who has several Ultra-Trail World Tour top-10 finishes to his name, including fifth place at the 2018 UTMB. More memorably, the tea addict also ran a marathon dressed as a toilet. He is supported by inov-8. More info at @ultra_damo (Instagram) and his website. That video with him and Zach Miller @ TNF 2016 gets watched before every race I run. Those 2 just went all out and to fathom that for 50 miles is just awe inspiring. Definitely a duel in the sun esque moment for our generation of runners. Great write up on a great guy. Love having these positive role models in our trail running community. Great interview and profile. “Let’s do it. Let’s become trail runners!’” Love it!! I can second all of what was said about how LDS missions are great preparation for the tough things life can throw at us. Additionally, I am pretty sure I put in more weekly miles on my feet as a missionary than when I am in a training block for a 100 miler. I am inspired by Hayden’s confidence in himself, his family, and his faith. I love that Hayden states that His faith in Jesus and God are the reasons of His confidence in His own abilities. Very informative and it’s refreshing to hear someone talk so openly of their faith. Nice write up, thanks! What a guy! My favourite Hayden Hawks quote was after the 2017 Chuckanut 50k. Max King ran the last mile in around 6:20, but Hayden closed the gap by a full minute by running 5:20. “I had to at least try to catch him”. And kudos to him for not smashing himself on the altar of UTMB, for going after something that plays to his strengths and gives him more joy. So very proud of an exceptional young man! It’s our privilege to be family friends once he was young! There will certainly be many many more wins from Hayden! Great article about a great trail runner and person. Interesting also to read his thoughts about UTMB. I visited the Canary Islands earlier this month and decided to stay at Agaete after seeing Hayden’s posts on Instagram. I did run up the same hill where the photo in this article was taken. And it was so impressive to see on Strava how he been flying up the same hills. I would like to see him running WSER. Thanks for the great article. The dynamics of ultra running are evolving rapidly with the infusion of these really fast runners at 5000m and 10000m moving up to the ultra distances. Really fun to watch.